Soft skills, including leadership principles, communication, and collaboration are in high-demand as organizations look for leaders who can grow companies and revenue. 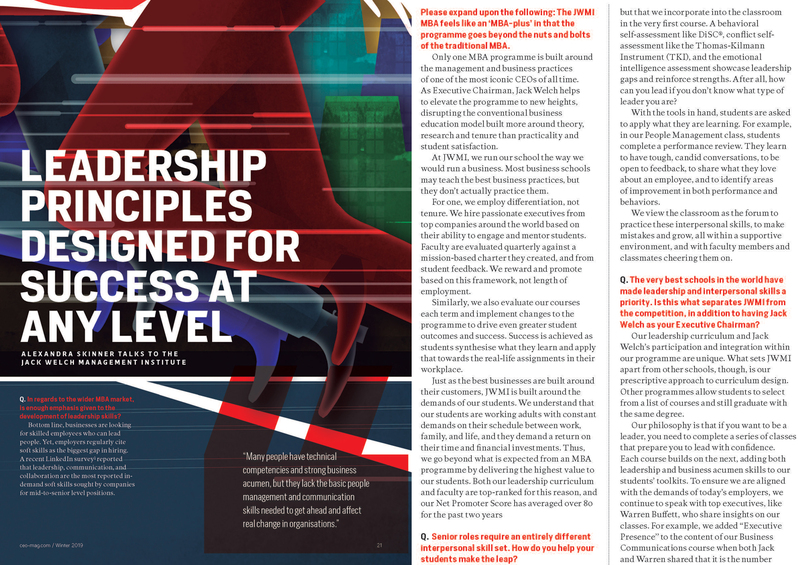 CEO Magazine interviewed the Jack Welch Management Institute for insight how as a top-ranked online MBA program the school ensures a focus on basic people management and communication skills that students (and businesses today) need to get ahead and affect real change. As the only MBA program whose curriculum is built around the management and business practices of one of the most iconic CEOs of all time, Jack Welch, JWMI leverages decades of expertise and time-tested business practices in a real way so that students can readily apply learnings within their organizations. But Jack’s participation and integration within the program is just the tipping point for what makes JWMI’s leadership curriculum unique. 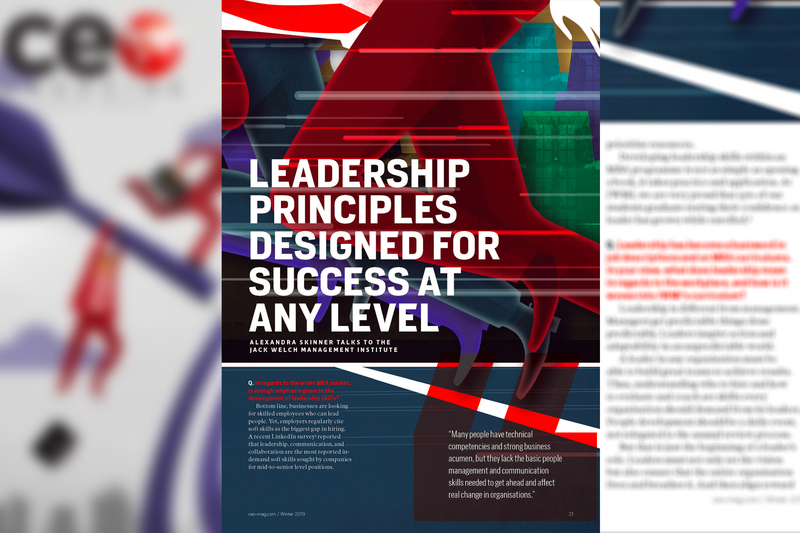 Read the full article to learn what you should expect from an MBA program and how the Jack Welch Management Institute’s approach to leadership curriculum is changing lives as students see measurable results from their business education. Originally published in CEO Magazine.